A Welcome Back treat for Students! Textbooks? Check. Stationary? Check. Smartphones and Laptops ready in gear for texting in class and research papers? 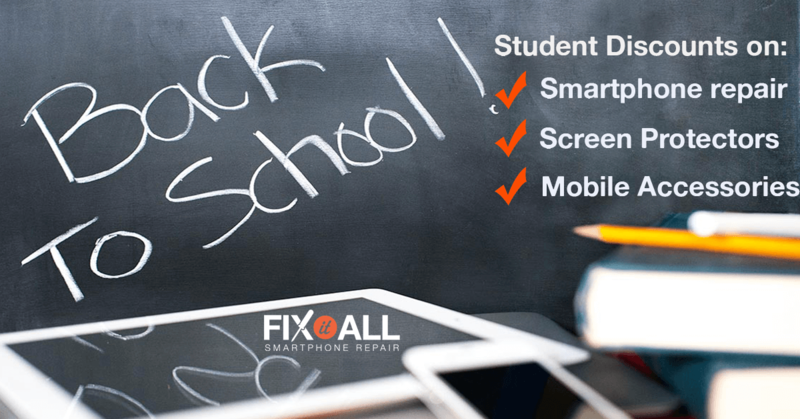 Check in with Fix It All then to save big on screen protectors, mobile accessories and electronic repairs on smartphones, laptops, and tablets! and..iPhone repairs from as low as $45!